In 1968, Cynthia, an American mother, and Suresh, an Indian father, accompanied by their two-year-old son, travel to India to present themselves to Suresh’s relatives for the first time. Cynthia faithfully captures in her personal diary all that she experiences and her honest reactions to it. From impossible toilet situations to mysterious family relationships; from snake-charmers to fire-breathers; from soul-crushing bureaucracy to fouled-up reservations; and from beggars with matted hair to the Taj Mahal, Cynthia takes us on her adventure while gamely keeping her son entertained and out of danger in a society that is like nothing she could have imagined. What a delightful story told in the clear, authentic voice of the author. I felt as if I was with Cynthia as she, with very astute and often witty observation, described her first impressions of a country both exotic and challenging. 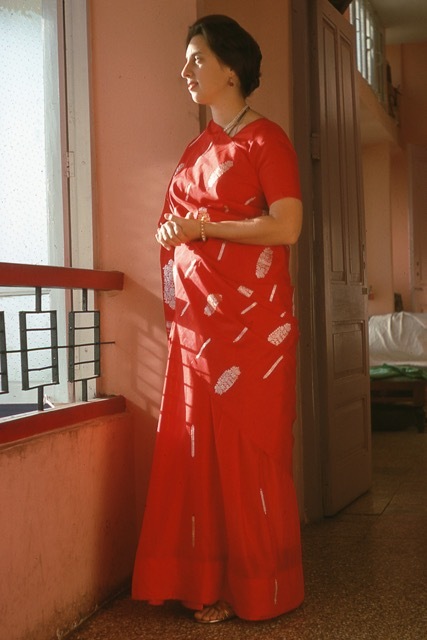 I admire how she so bravely met for the first time what seemed like hordes of her husband’s relatives, then adapted to their culture by wearing the local saris. And how the relatives in return showed their love and respect by making for Cynthia what they believed was an American Christmas dinner. The combining of diary entries and letters home made for very intimate and honest dialogue. The reader will enjoy this personal journey and learn much about the culture, history, and people of India in the late 1960s. — Agnes Olive, author of "Letters from Pakistan, One Woman’s Odyssey"
— Sher Davidson, author of "Europe with Two Kids and a Van" and "Under the Salvadoran Sun."